Salty and sweet treat that is delicious to eat! Only 3 ingredients needed to make this yummy treat. Valentine’s Day is just around the corner! 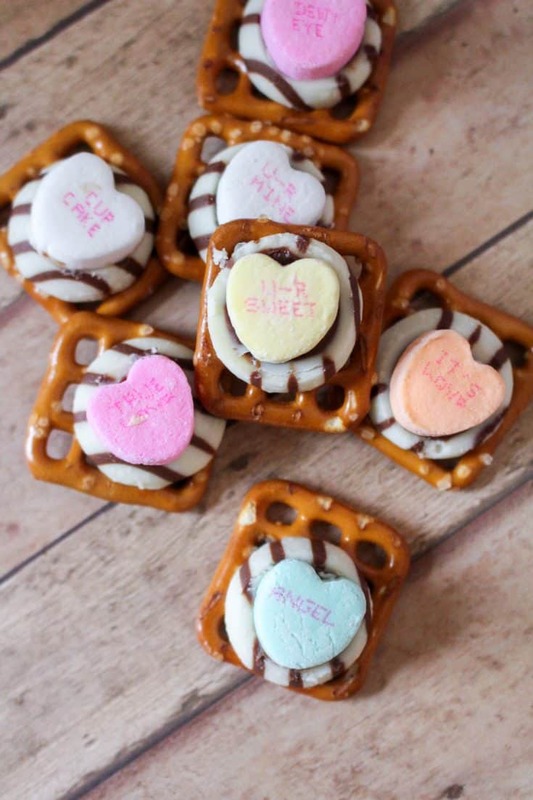 These easy treats are perfect for a school Valentine’s day party or as Valentine’s gifts. 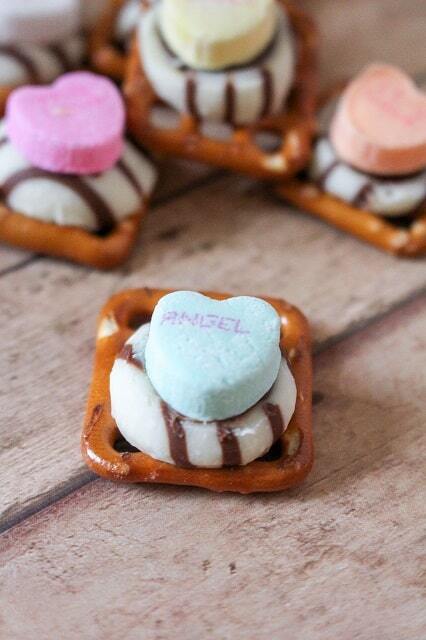 These 3 ingredients Valentine’s Day Pretzels are super easy to make and really addictive! 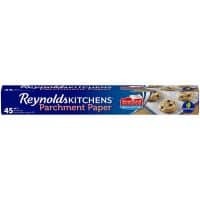 They really do disappear as fast as you can make them! 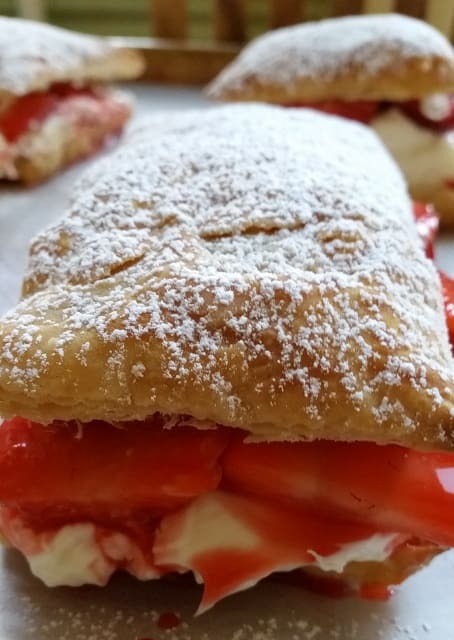 My kids and hubs loved them so much and begged me to make another batch! 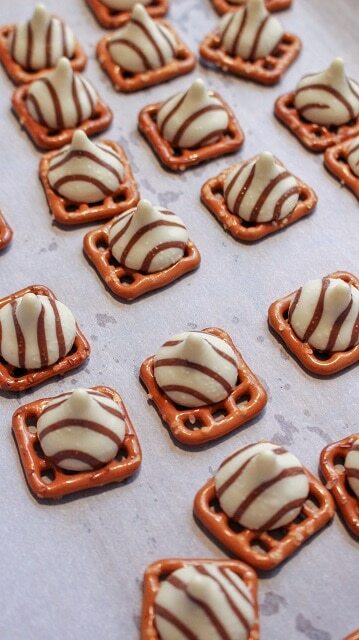 Are you ready to make your own Valentine Pretzel Treats?? 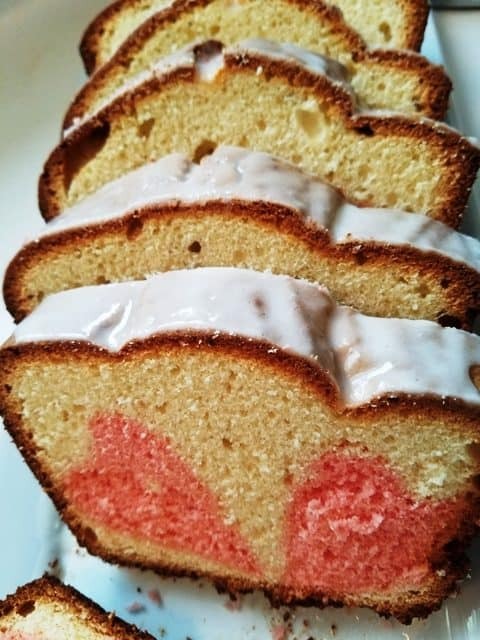 Only 3 ingredients needed, so simple to make, you will love them! A salty and sweet treat that everyone loves! 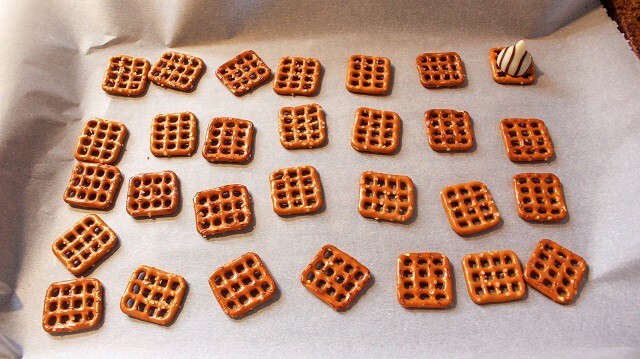 Set out pretzel squares on the baking sheet in rows. 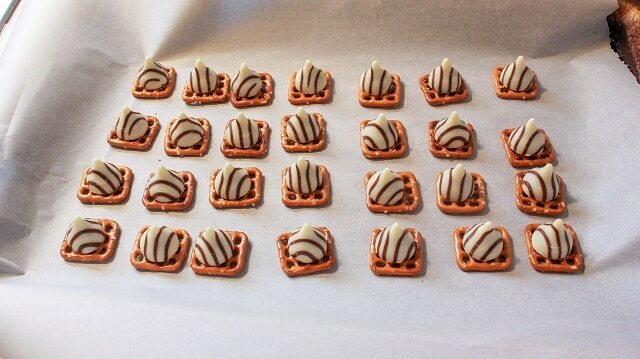 Unwrap one hug per pretzel square. 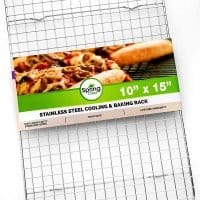 Place one on top of each square. Bake in the oven for only a few minutes. 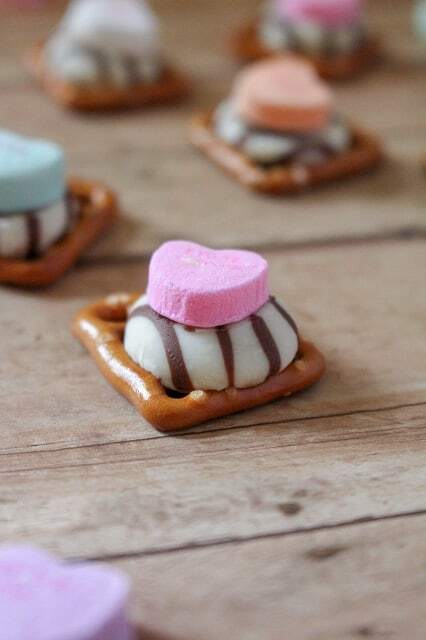 After you remove them from the oven, place a candy conversation heart on top of each hug. 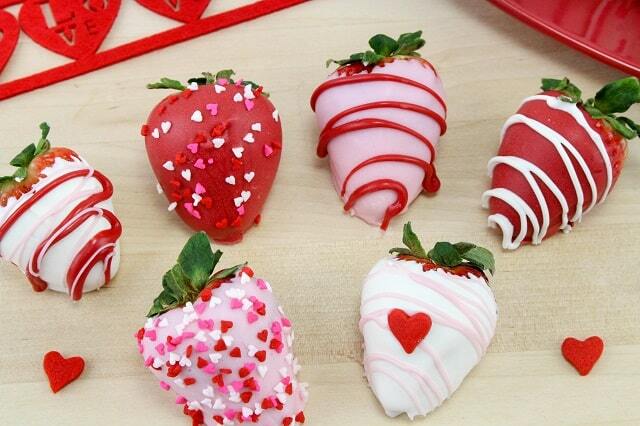 Craving more yummy Valentine’s day recipes? Here are more ideas that I know you’ll love! A salty, sweet treat that is great to eat! 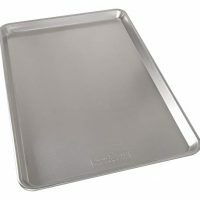 You will know they are ready when they look wet and shiny. They will not melt down - so don’t wait for them! If they bake for too long then they will crack and burn. Slightly press down to flatten the hug. Let them set and cool. 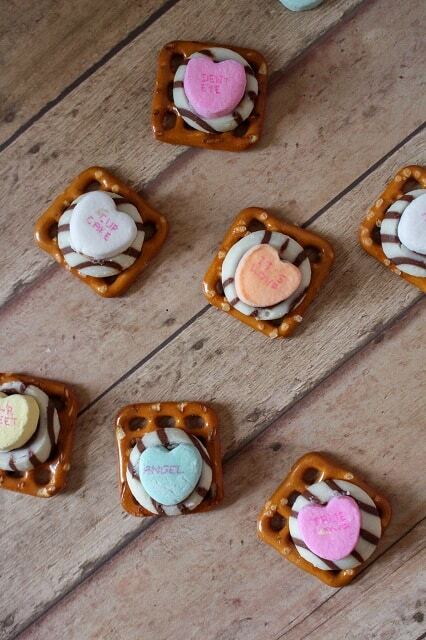 Be sure to pin these yummy Valentine’s Day Pretzels to your favorite easy dessert board on Pinterest! Be sure to follow me on Instagram and tag #mooreorlesscooking so I can see all the wonderful recipes YOU make from this site! 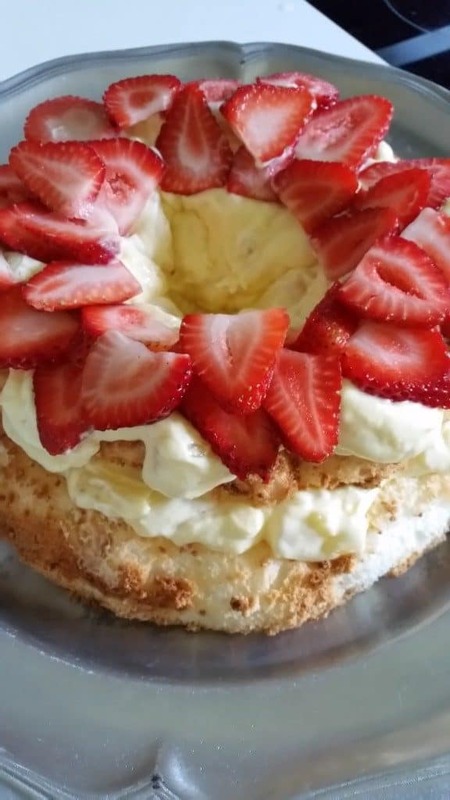 Nettie is a wife and mother who is passionate about cooking and baking… especially when easy meals are involved! With 5 children, Nettie insists that all meals, snacks, and desserts come together quickly! 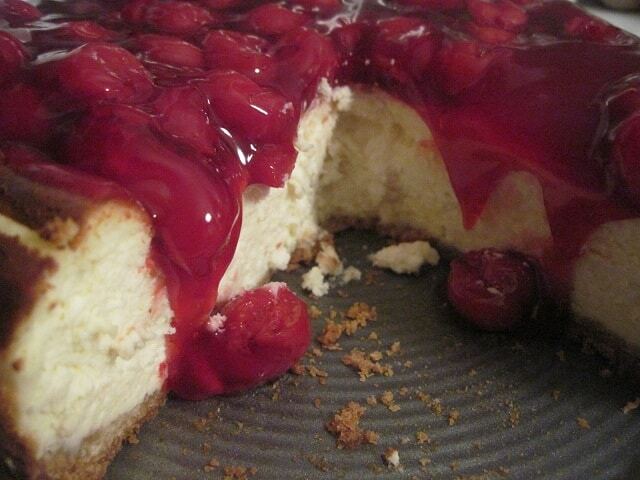 You will find a wide variety of easy yet scrumptious recipes on her very popular website Moore or Less Cooking. 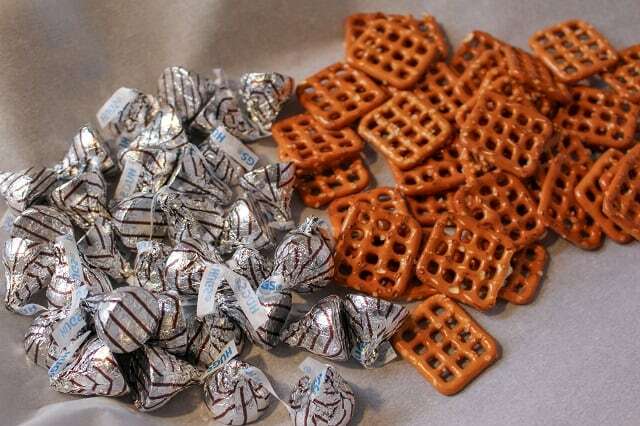 Pretzels, my favorite food, what a fun way to eat them!